White and Lavender Floral Wedding Hair Comb. 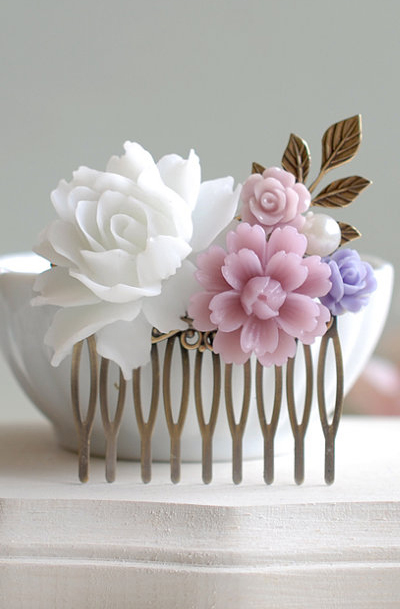 This vintage style collage hair comb is created from delicate resin flowers in beautiful icy white and Lilac. An antiqued brass leaf and resin flowers are carefully arranged and securely attached to a sturdy brass filigree comb base.